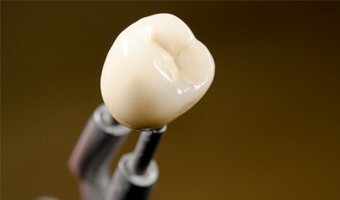 By harnessing the power of the latest innovations in dental techniques and technologies, we’re able to offer patients better dental care than has ever been possible. Chambers Family Dentistry has a history of providing outstanding dental care in the Annapolis, MD area, and by continuing to stay at the forefront of innovations in these technologies, our dentists will continue to provide the best possible treatments for every patient we see. If you’d like to find out more about the role of technology in our office, call our team today. Now, you can skip the hassle of a messy foul-tasting impression material and enjoy a comfortable experience using an intraoral scanner. This provides smarter scanning to capture digital impressions that integrate with our in-office milling machine. Together, these advanced technologies provide accurate results while making your treatments convenient and comfortable. Your treatment process is streamlined while we improve your oral health through modern dentistry. We use a wide array of diagnostic and treatment planning tools within the Carestream system. Intraoral photography is one part of this interrelated system. These small cameras allow us to comfortably capture images of your teeth. 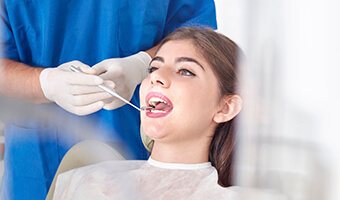 Because we’re able to show patients exactly what we’re talking about, these intraoral photos make it much easier to help patients understand their current state of oral health and any potential treatment options. We can look at these images together on a chairside computer monitor. 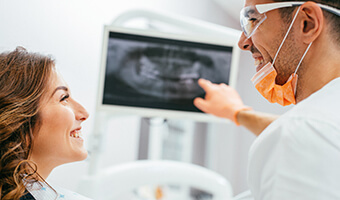 Like intraoral photography, digital x-rays are captured quickly and comfortably, and they are immediately available for review on chairside computer monitors. These images give us a clear view of the inner workings of patients’ smiles and allow us to diagnose and plan treatment with much more precision. Perhaps most importantly, digital x-rays have significantly reduced the amount of radiation exposure necessary to capture these images. Additionally, these digital files can be easily stored and instantly transferred digitally for faster and more effective ongoing treatment. Traditional bite impressions required patients to bite down on a putty like material. By biting into these impression molds, we’re able to craft a mirror image of patients’ smiles that our dental labs can use to craft custom restorations. By capturing these impressions digitally rather than manually, we’re able to provide labs with more precise results, and patients are much more comfortable while the impression is collected. Most importantly, treatment time is reduced because the impression arrives at the lab almost immediately where they can begin crafting the restoration. Another component of our Carestream diagnostic system is an early cavity detection device. 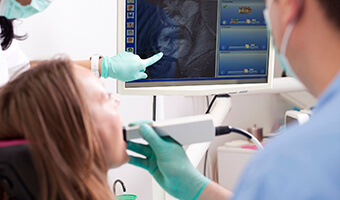 This cavity detection system allows us to diagnose and intervene at early stages of tooth decay, and once diagnosed, cavity detection systems allow us to develop more precise treatment plans. 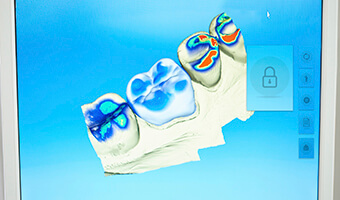 The Carestream cavity detection system essentially provides us an image of a tooth that shows where structures are weaker by reflecting hard tooth enamel as bright white and weaker areas progressively darker. That means we can often pinpoint areas that are at risk for decay and partner with patients to stop cavities before they ever form.